Donnely Lake Provincial Park was established as a result of the Cariboo-Chilcotin Land-Use Plan Goal 2 (Special Feature) process. It protects a regionally significant wilderness walk-in fishery and camping in a wilderness setting. As well, it protects an entire small watershed, which is unique in the Cariboo. Rainbow trout are found in the lake. The slopes surrounding the lake are mature and old spruce, Douglas-fir and pine forests. 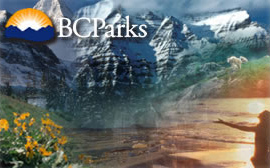 The park is located approximately 45 kilometres northeast from 100 Mile House.